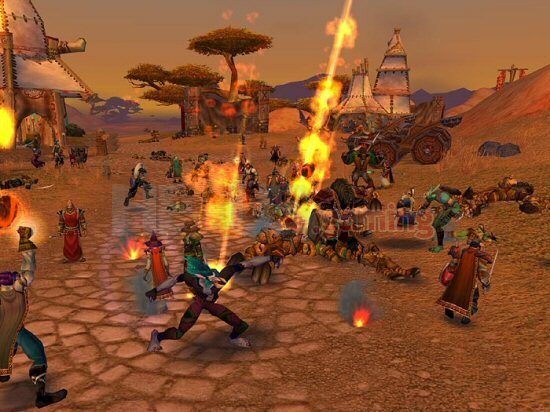 Blizzard Entertainment have announced plans to launch a new type of tournament competition using the Arena System in World of Warcraft, their hugely popular MMORPG. The tournaments will take place on special realms that allow competitors to instantly create level-70 characters with epic equipment, placing the focus on tactics and execution rather than normal adventuring... Which gives fairweather players like me not only a fair chance against players who are normally much higher levels than me, us normally lower level players can get a gander at some of the high level kit... neat. The tournaments are scheduled to start in April with two rounds of online qualifiers in Europe, South Korea, North America, and the regions of Taiwan, Hong Kong and Macau. Each qualifier round will have a per-competitor entry fee - 15€/£12 in Europe; 20,000 won in South Korea; $20 in North America; and NT$450 in the regions of Taiwan, Hong Kong, and Macau - and will run for six weeks. During this time, teams will play 3-vs.-3 matches on the tournament realm in their region, with the top four teams from each round advancing to the regional finals to compete for more than $27,000 in cash prizes. Winners from each region will then be invited to a global championship event to compete for $120,000 in cash prizes, including a $75,000 grand prize. 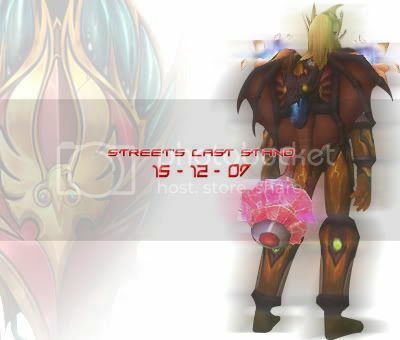 Check out www.wow-europe.com for more details. i'd love to give that a shot but i left in November last year, only came back once on my mates birthday for a 40 man to BWL - i even made a teaser poster for the event.